I cannot stress how important it was that I stayed in Casas. In Cuba, these are houses that have been registered with the government as bed and breakfast establishments for travelers (often foreigners). This sounds like a very bureaucratic way to travel but I found that these casas offered a window into actual (non-tourist) life in a country with a system completely unlike my own. For instance, I quickly noticed that landlines are still very much alive and well in Cuba. As are (drumroll please) Payphones!! Cellphones are used, but not with the same regularity as in the States. Cell phone users will still very often resort to a payphone if they run out of minutes on their cell phones. People thrive not through their Internet connections (which are scarce and generally only found in main squares and parks) but through the connections they have to their communities. In Trinidad, I decided to head to the beach, which was five kilometers away. My hostess, after hearing this, immediately got on her landline and called a neighbor to get a bike for me, because according to her, the bike ride was a must-do. When he didn’t have a bike, he called up his friend and bam! I had a bike. In Santa Clara, I goofed up my lodging but my host, bless his heart, ensured that I had a place to stay with someone “he knew personally who had a big room and complimentary mojitos!” Needless to say, I can’t imagine experiencing Cuba from the comforts of a hotel room. 95 percent (a statistic I made up, but I’m fairly certain is accurate) of people wear some sort of uniform to work. Houses are almost never just homes as we know them (the exception being Havana where there are many high rise apartments). Houses in Cuba are often also cafeterias, casas, and even barber shops. There are several KEY figures in history that every city has memorialized. 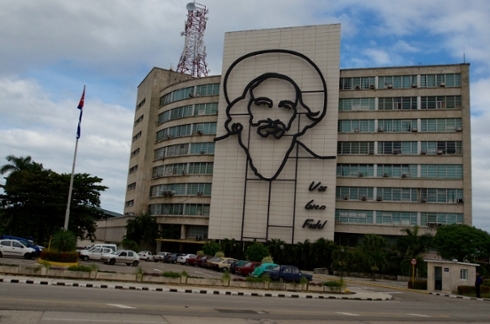 They include José Marti, Che Guevara, and Carlos Manuel de Cespedes. They are the MLKs, the Washingtons, and the JFKs of Cuba (in that there is always a street or statue named after them). Ice cream - It’s a thing. And sadly, it just doesn’t compare to our Ben and Jerry’s. And normally, there is only one flavor available at any one time. And God forbid the carton melts before it’s your turn to get a scoop! There is rarely much variety in brands available at the grocery store. I had a faint idea this was going to be the case, but it didn’t hit me until I was in a store in search of bottled water and there was only one brand, Cuba’s national brand, of course, Ciego Montero. Note: I need to do something extra special for Mother Earth because of the amount of plastic I used in three weeks. Talking about communism with a Cuban is a bit of a taboo. I never figured out if that was because I was foreign, or because I was American, or because it simply isn’t done. People work hard, every day in most cases; that is clearly evident. My unofficial tour guide in Santiago worked as a maid in my casa. She desperately wanted to move to Miami (the only place in the United States Cubans ever referenced) because “here [in Cuba], I work and I work and I work and I have nothing.” I tried as hard as I could to explain, in my broken Spanish, that the United States suffers from very similar income inequalities. It is not a capitalist utopia by any means. 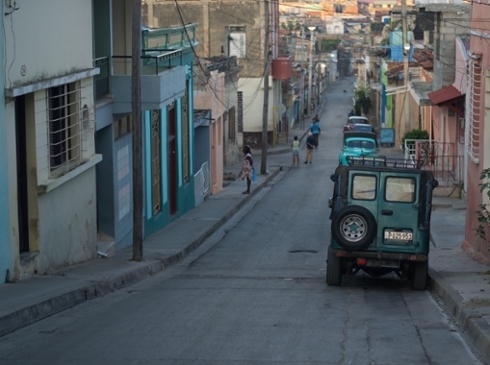 Her response, “it can’t be as bad as it is here.” My sense, from the few young people who had the patience to talk slowly to me, was that most Cubans are not satisfied with the system that has been established since the Revolution. I enjoyed my stay in Cuba more than I can express here and I already know that I’d like to go back with Spanish under my belt. My words could not possible do this country justice. 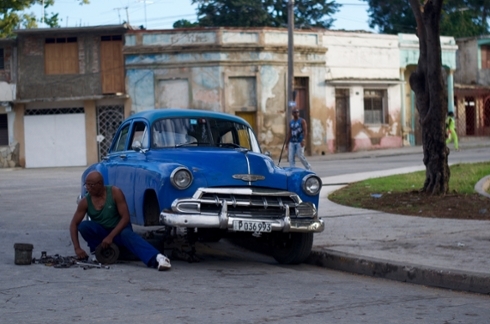 Hopefully my photos will shed more light on what and who Cuba is. I’ve included 22 photographs, one picture per day. Cuba truly was a different world and I am incredibly curious now to see how the country changes as its relationship with the United States continues to improve and evolve.